The WordsWorth Literacy Programme not only resolves Reading and Spelling problems, it also speeds up the acquisition of literacy skils for those that don’t have a problem. 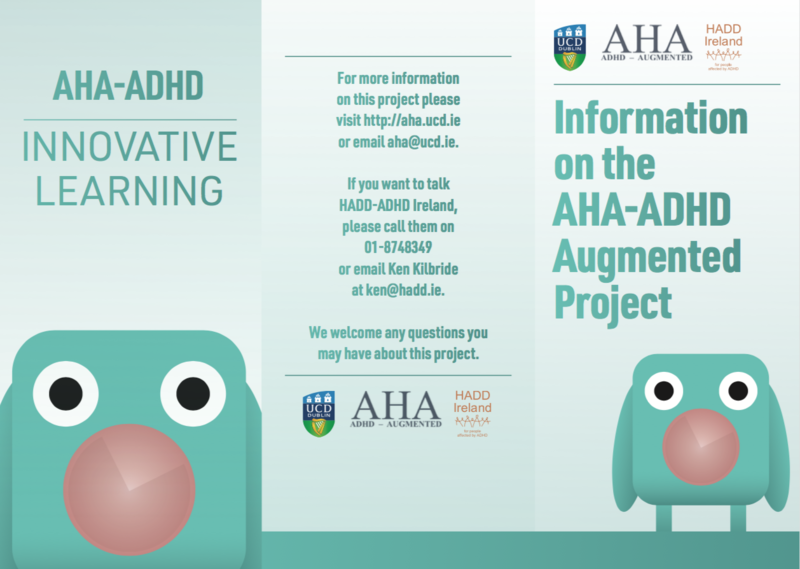 Will Augmented Reality improve learning outcomes for children with ADHD? 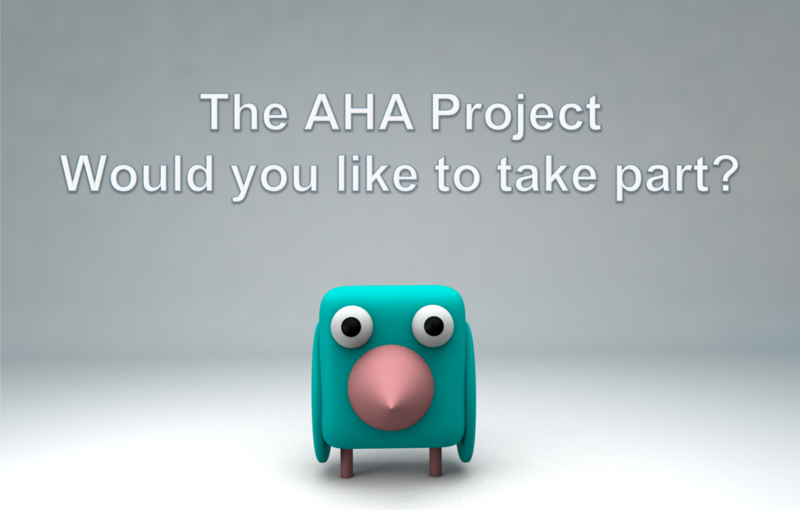 The AHA Project will involve 200 children in Ireland that have been diagnosed with ADHD. It will introduce new ‘Augmented Reality’ features into the new WordsWorthLearning programme, to make learning more fun and more interesting. We are looking for volunteers to try this exciting new way to teach reading and spelling – which we think will make learning easier and also improve literacy outcomes. Fancy trying it out to see if we are right? 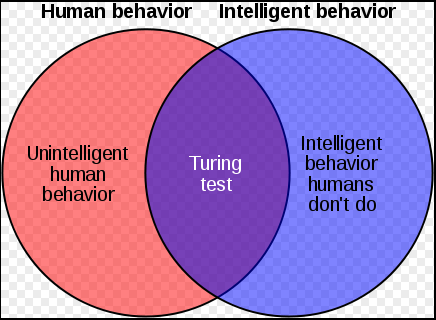 The “Turing test” taken from Wikipedia the free encyclopaedia. • In the UK’s most deprived areas, more than a third of adults lack the literacy expected of an 11-year-old. • There are more software engineers in the United States than school teachers demonstrating more attention is being focused on teaching algorithms and AI than people. • 1.7 million British adults can not currently read a road sign. Yet 10 million self-driving cars are predicted to be on the road by 2020″ . The report suggests that “smartphones will read and write better than 1.7 million British adults in the next decade”. Progress in improving human literacy rates has stalled since 2000 — leaving 758 million adults worldwide and almost 2 million Brits illiterate (with 5 million having literacy levels below those expected of an 11-year-old) — a new report predicts that technological advances will soon enable over 2 billion smartphones to read and write. At the current rate of technological progress, devices and machines powered by AI and voice recognition software will surpass the literacy level of over one in twenty British adults within the next ten years. BACK TO SCHOOL – Concerned about your child’s reading & spelling skills? 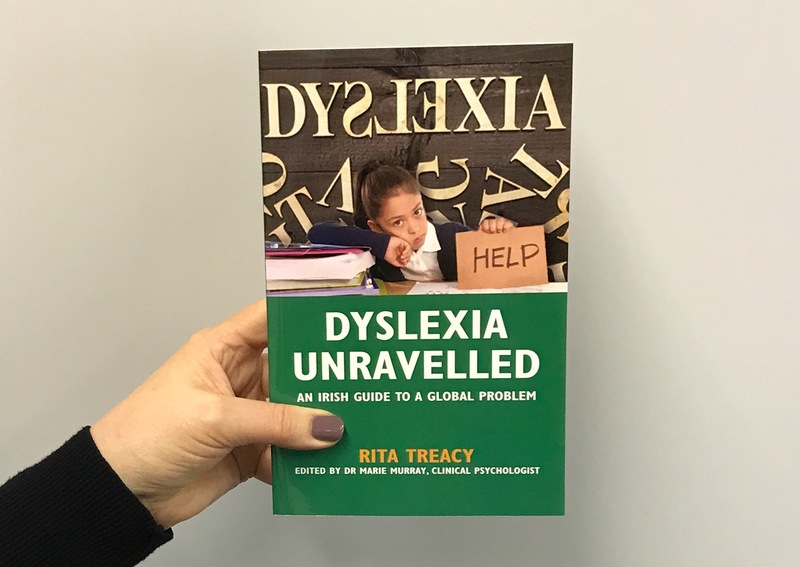 “DYSLEXIA UNRAVELLED” gives clear guidance on how to go about dealing with the problem. It was published on 11 May 2017. It is primarily for all parents with children of primary or secondary school age and for school principals and teachers, as well as other associated professionals that are involved with the remediation of reading and spelling difficulties such as dyslexia. The book, in very clear language, provides guidance and direction to any parent who has even the smallest concern that their child may not be performing to their potential. It also offers insight and direction to teachers who can often recognise that a child has a difficulty with their reading and spelling but that child is not “eligible” for any learning support or follow up in the school system. It is a fact that many children are not eligible for the learning supports in school which could essentially bring them up to speed. Unless their parents independently take positive action to redress the problem, these children will simply be left to struggle their way through the education system, continually failing and underachieving and never getting the grades they could have the potential for. Literacy problems can be remediated if appropriate action is taken when problems become evident. This essential book “Dyslexia Unravelled” explains the best courses of action that can be taken. This brief video contains short extracts from the interviews following the Dublin VOOM event. We, the contestants, are talking about the value of taking part in Richard Branson’s VOOM Pioneer concept. The Virgin team are fantastic and the follow-up has been amazing. See below for the link to the article in the newspaper. I am so excited to be holding the first copy of my first published book called “Dyslexia Unravelled”. 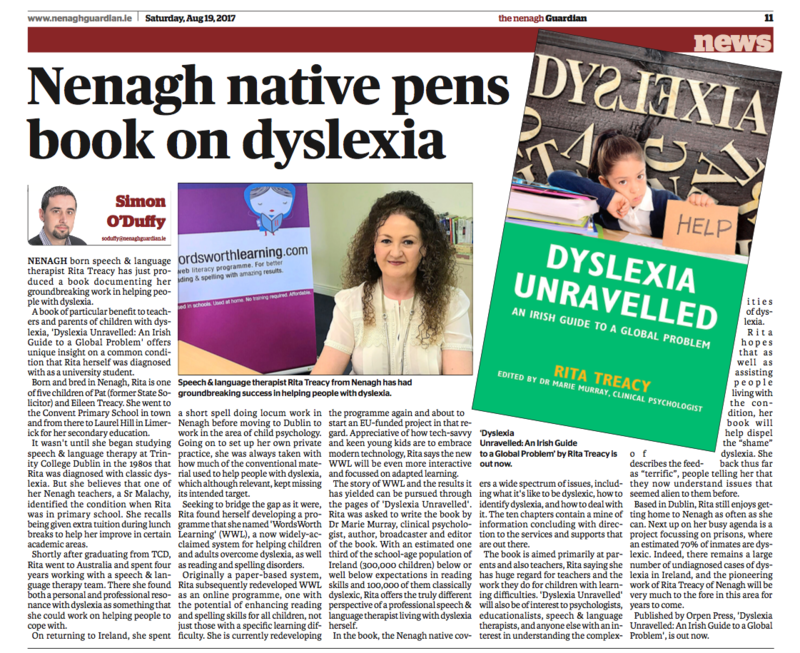 DYSLEXIA UNRAVELLED published on 8 May 2017 is primarily for all parents with children of primary and secondary school age, schoolteachers/principals and other associated professionals that are involved with the assessment and remediation of reading and spelling difficulties such as dyslexia. Literacy problems can be remediated if appropriate action is taken when problems become evident. This book “Dyslexia Unravelled” explains the best courses of action that can be taken. It’s available now in good bookshops and online. 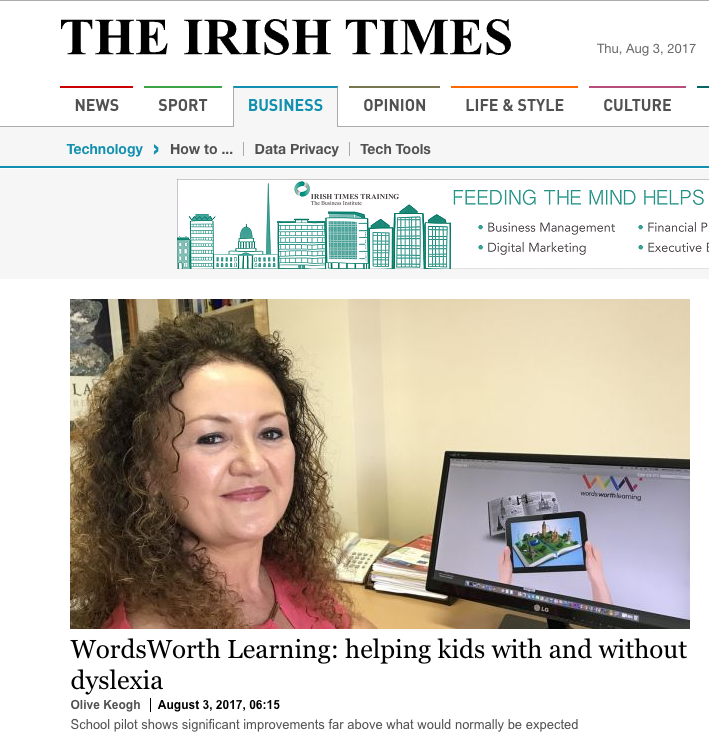 Rita Treacy – Consulting Speech & Language Therapist, specialising in dyslexia. Augmented Reality (AR) is what happens when you overlay digital information on top of the real world, or an object, that’s right in front of you. 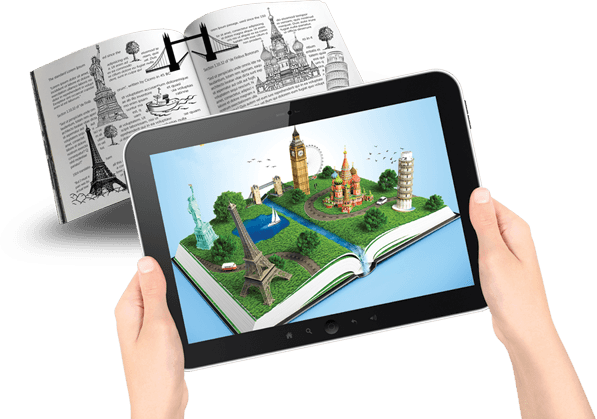 In the picture above, you can see an open a book with an augmented reality enabled device pointing at it, the AR app enhances the relevant information and in this case, produces a picture of a 3D model from the content. AR heralds a step-change in education whereby, instead of just ‘learning’ a subject or topic, AR will include ‘seeing’ the content in 3D that will allow a student to experience another dimension, making it easier for them to understand more complex concepts. AR is a complementary technology that will also give the classroom teacher a new way to address the variety of ‘learning styles’ in the class by creating ‘engagement’ that is fundamental in helping all students to learn, to retain, and to recall what they have learned with more accuracy. AR is inexorably moving into mainstream education and when it is used with the “flipped classroom” model, where students watch AR lessons at home, in their own time, at their own pace (and as many times as they need to), the classroom time is then used to discuss what they have learned, this allows ‘peer group’ engagement where all the students can participate and gain a much deeper understanding of the topic. This might even signal the end or, at least, a reduction of “streaming” in education because AR lesson plans are instrumental in helping students with different learning styles and abilities to grasp what’s being taught to them, allowing them to explore and focus on subjects in a way that’s more appealing, stimulating and memorable. WordsWorth Learning Ltd., will soon be engaged in an exciting AR educational project here in Ireland, focusing on literacy development, that will be sponsored by the EU and we will write more about this topic later in the year. 2016 © WordsWorth Learning Ltd. 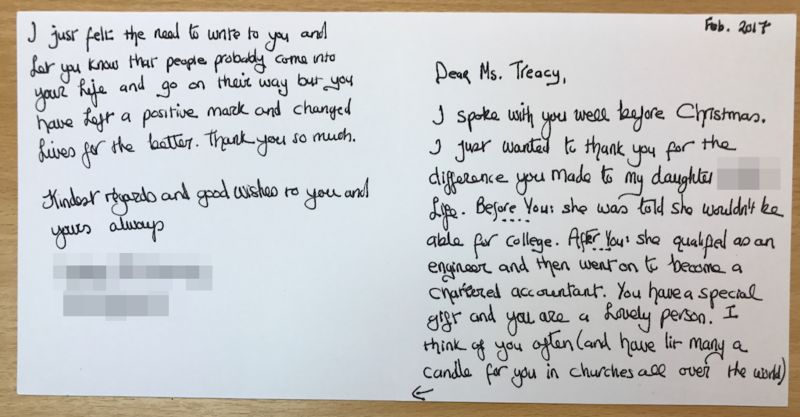 This is why I do what I do. The names are blurred to protect client confidentiality. Unfortunately there are many more children and young people in this position throughout the primary and secondary school system in Ireland. The good news is that the Department of Education plan to introduce a new model for allocating Special Education Teaching Resources to mainstream primary and post primary schools which will be introduced from September 2017. There is plenty of scope to get this right and if it is implemented properly, with the correct approach, services and resources, it will definitely help to identify and remediate many more of the cases like the one described in the published article.